To do lists are a great way to keep yourself on track to get things done. In fact, there’s some that say getting that to-do list out of your head and onto paper (or electronic tool) makes you more effective. 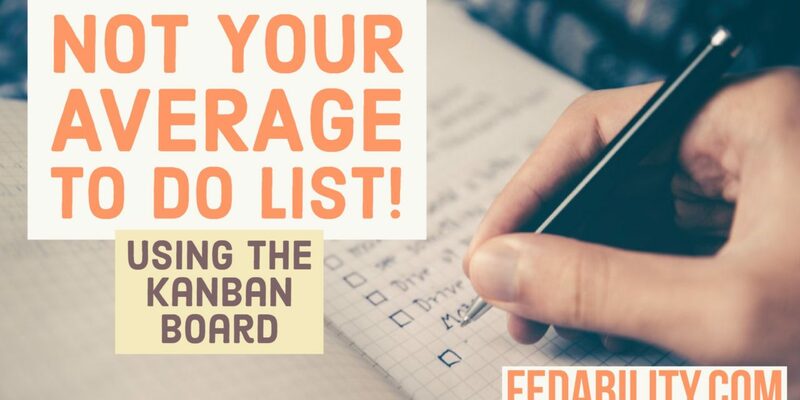 But, do you have a shared to do list for your team? A to do list that offers a clear picture of all the tasks the team needs to accomplish with transparent priorities? If not, I’d like to introduce you to the concept of a kanban board. Last week we introduced the best kept secret in IT for getting things done – the agile methodology. Specifically, a benefit of the agile methodology is a clear, transparent list of tasks for a given project. And, that a prioritized task list helps the team know where to focus their efforts. But, we didn’t really get into the ‘how’ of creating and managing that list. 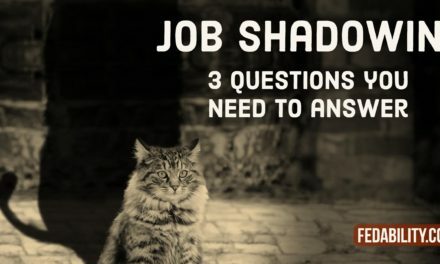 The answer is a kanban board. As is true of nearly any good productivity and efficiency tool, the kanban board has a Japanese origination. It was created as a means to make manufacturing processes more efficient. According to Wikipedia (so it must be true), the kanban board is based on how grocery stores manage their stock. The concept being that grocery stores only stock what they believe they can sell – no more, no less. To stock more than is needed leads to waste. To stock less than is needed leads to missed income. Translating this to the average team, when we ‘overstock our team’s plate’ we get missed deadlines and increased stress. Conversely, when we ‘understock our team’s plate’ we end up with missed opportunities. But worse than over or understocking a team’s plate is not telling everyone on the team what’s on everyone else’s plate. When no one knows what is on everyone else’s plate, there is a natural belief that your own plate is the most unreasonably overstocked plate on the team. To be fair, sometimes that is true. Especially when you’re a high performer. But here’s the beauty of the kanban board. It provides transparency into what’s currently being worked on and where it is in the process within the workflow. In the first column, we add a list of all the tasks to be completed. In the second column, the tasks that are currently being worked on are moved from the To do column and into the Doing column. The key is, that you can only work on one thing at a time. Write Statement of Work (SOW) task list. Now, the broken down list of activities of awarding a government contract are in the To do column. And only a single task that can be accomplished in a single day (or less) is moved into the Doing column. As a task is completed from the Doing column, it is moved into the Done column. Then a new To do task is moved into the Doing column. Just as you get a feeling of satisfaction for crossing an item off your list – so too will you get that feeling of satisfaction as the team moves each item into the Done column. Having recently created a kanban board for my family as we prepare to set sail to the Caribbean, I can tell you that listing out ALL of the tasks is overwhelming. I’d almost go so far as to say it’s demoralizing to think of just how much needs to be done. However, in true agile fashion, the full list needs to be prioritized and segmented into what can be done within a single 2 week sprint. In IT, there’s an additional column added called the Backlog. This is where you keep ALL of the tasks. Then, you move the highest priority tasks that can be accomplished within the two week period. 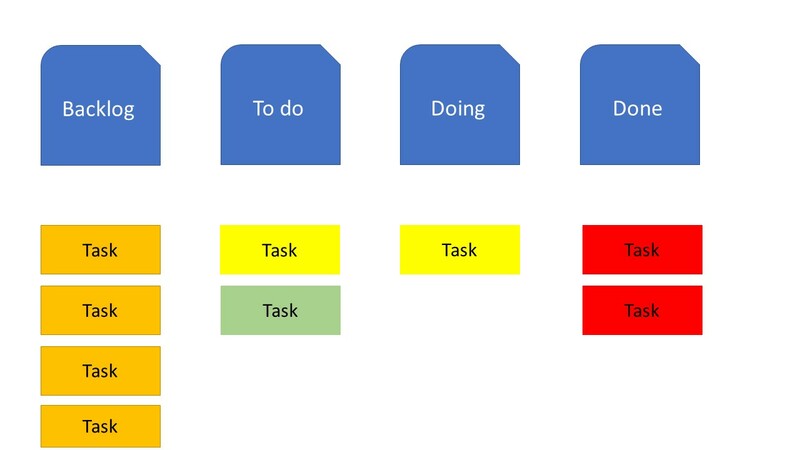 In this example, the highest priority tasks are color coded red. The next highest are those that are yellow. And, finally, the lower priority tasks are green. As you can see in the kanban board, high priority tasks were worked on and completed first. It’s possible to see this because the items in the Done column are all red – or high priority. 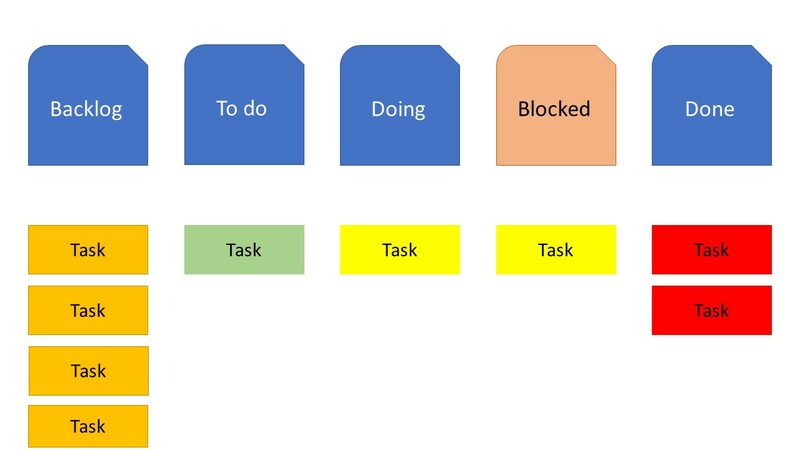 In this example the tasks that were left in the Backlog were left without a color priority since they aren’t actively being considered for the current ‘sprint’. However, you could color those as well too to indicate a priority level. The great part about adding this Backlog column is that it allows you to list out all the tasks to be accomplished. Then, the To do list contains the subset of reasonably accomplished tasks reducing the feeling of an overwhelming list. 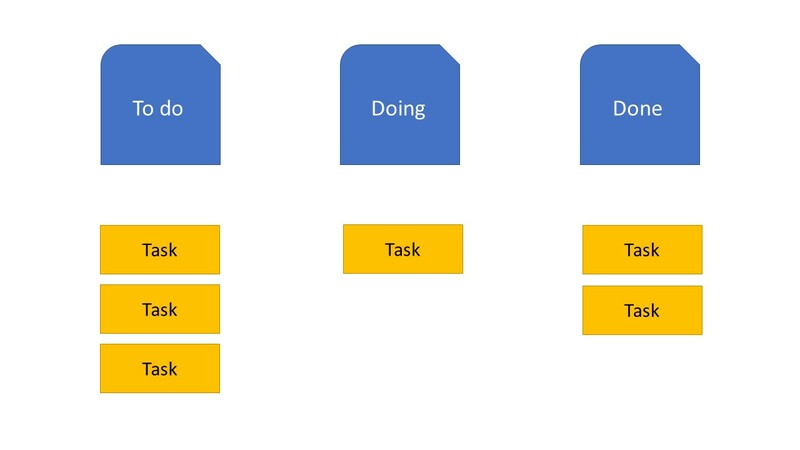 Keep in mind that separating the Backlog and the To do list doesn’t make the total list of tasks any smaller. It just makes clear to everyone involved what the expectations are over the next two weeks. In our prior post, we discussed the benefits of having a dedicated person for removing blockers from accomplishing tasks. While in agile this person is called a scrum master, I like to think of this person more generally as the team leader. The trouble with many to do lists is that something can stay on the list for a long time. This can be frustrating because it doesn’t feel like there’s any forward movement. And, since the kanban board is now visible to the entire team, it may appear like someone isn’t working on their task. In reality, the reason the task is sitting in the Doing column may be that 1) the task is too big to be accomplished in one day or 2) the task is blocked. A task is blocked when it requires an event to happen (that hasn’t) or a resource that is currently unavailable to be able to complete it. Last week, I offered the example that an employee had to shepherd a document through multiple signatures. However, the person who was to provide the first signature was not responding to requests or deadlines. 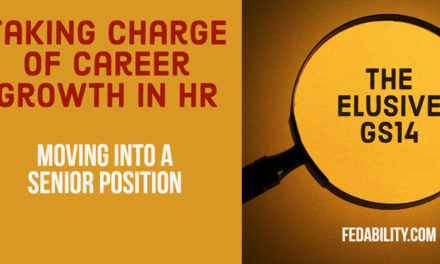 The employee responsible for moving the form through the signature chain was effectively blocked from going any further. Under normal circumstances, it is reasonable to have put this series of signatures as a single task that can be accomplished in one day. Yet, day after day, the task remained in the Doing column. And, if we are holding true to the agile methodology, the employee would not go to another task until the current one was finished. This means that not only was the task blocked, it would become a bottleneck from getting more work accomplished. I’ll be the first to admit that my explanation of the kanban board is extremely simplified. And, a software developer reading this might be rolling his/her eyes with my descriptions that may not be quite accurate in true agile methodologies or scrum teams. But, that’s ok. My purpose here is only to share with you a different way of approaching your to do list. And, a tool you can use with your team with open conversations about priorities and workflow. The great thing about kanban boards is that it is flexible. You must own it and make it work for you and your team. You might want to call the columns something else. Or, you might want to add columns that are not in the examples above. Another adjustment might be to color code the task by who is responsible for the task rather than the priority. And, you may find that you want to make changes to it as your team continues to use it. 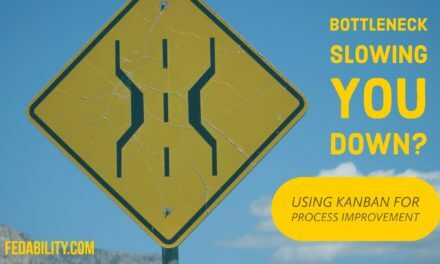 Really, the choice is yours in how your build your kanban board. 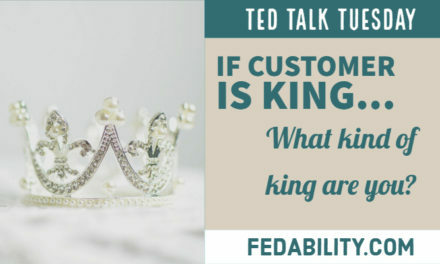 If the customer is king…what kind of king are you? Thanks for this article. I’m in my first month at a new job and getting a bit behind on my tasks. We work in an Agile environment, but I hadn’t considered applying these principles to my own situation. I’ll start now on setting this up. Happy sailing to you and your crew! Glad you found it useful Michael! You’re going to love next week’s post then where we talk about using agile with your family (among other topics). I’ve used the Kanban for my own work to help me keep on track. Now we’re using it in my own family now to help get us ready to set sail – our morning stand up tends to be with coffee in our PJs.